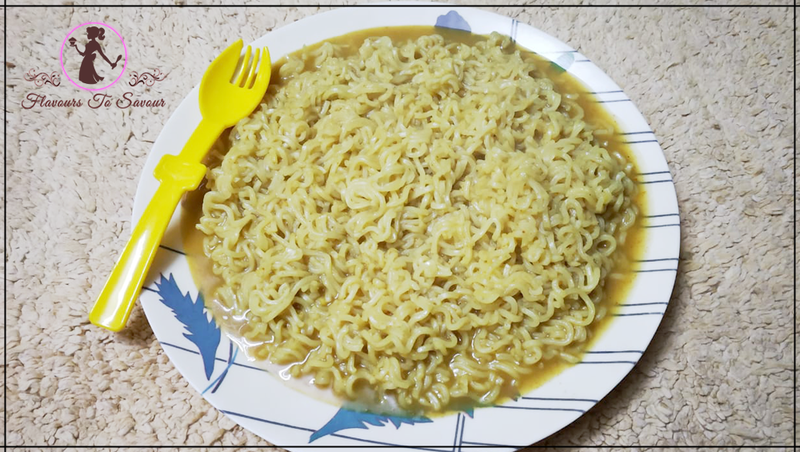 Home Product ReviewsChings Secret Hot Garlic Instant Noodles Product Review: Experience Desi Chinese Flavour Like Never Before! 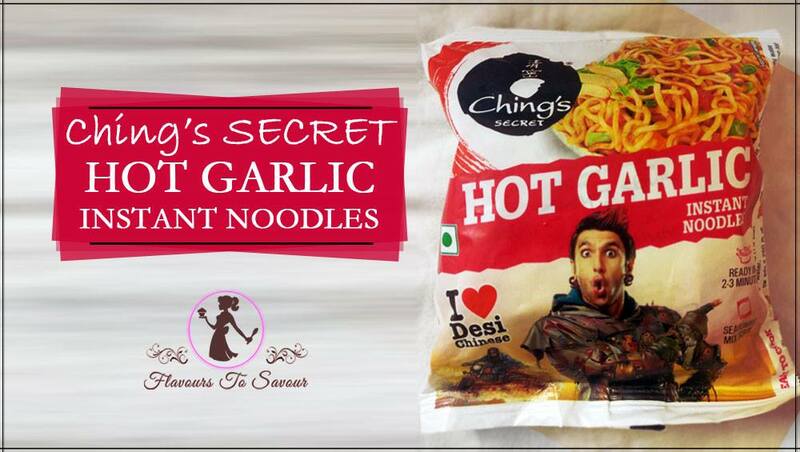 by flavours2savourupdated on May 9, 2018 May 9, 2018 Leave a Comment on Chings Secret Hot Garlic Instant Noodles Product Review: Experience Desi Chinese Flavour Like Never Before! 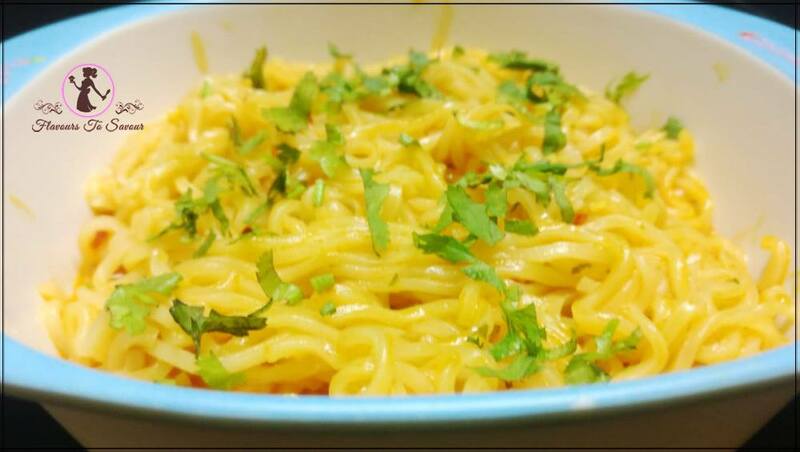 Ching’s Secret Instant Noodles is a known and popular brand in India, which serves us Indian (read: Desi) Chinese Cuisine. They have quite a few products like Desi Chinese Masala, Sauces, Instant Noodles, Instant Soups etc. It is owned by Capital Foods Pvt. Ltd. It is famously known for its Desi Chinese range that it made available in India. The brand is running successfully for over 20 years now. 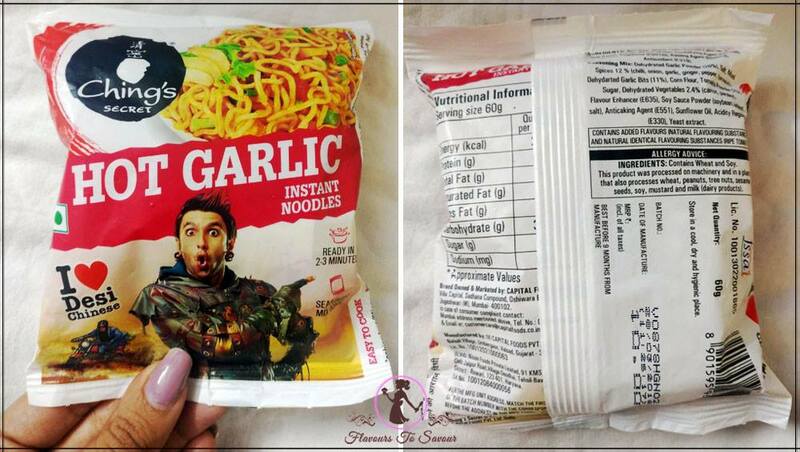 Notable Bollywood actor Ranveer Singh is the current brand ambassador for its Instant Noodles’ range. The brand distinctively differentiates from its contemporaries as it relishes itself to be non-sticky and addictively spicy! 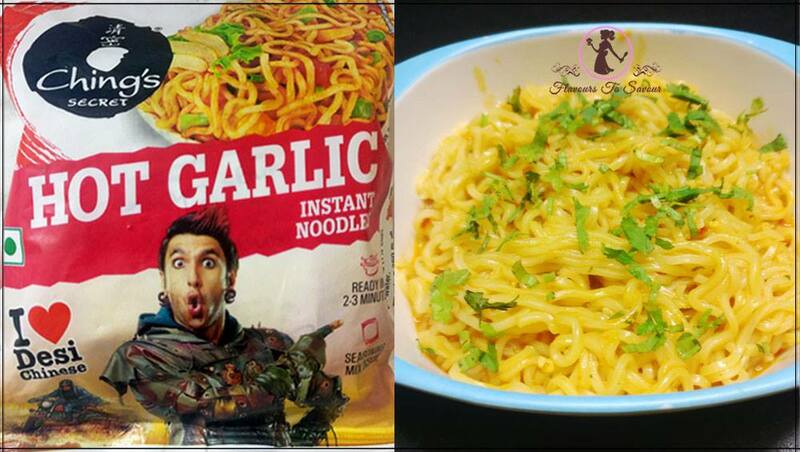 Here, at Flavours To Savour, we have reviewed ‘Ching’s Secret Hot Garlic Instant Noodles. Ching’s Noodles are not your regular noodles, or one can say that they are not too different too. However, not many noodles in the market boast of its non-sticky and spicy traits. It is a hot-spicy type of a snack where in a person who doesn’t love spicy food would drool over its mild spiciness, whereas the one, who loves to have his/her food spicy, will not be as much delighted. Are you confused between a plate of Maggi and Ching’s Instant Noodles? Check for yourself here. It has the spiciness that we find in Red Chillies, and not the Green ones. On the top of it, Ching’s Secret Instant Noodles, it is all about the flavour being Garlic. What else can one ask for? The packaging of this Ching’s Secret Instant Noodles is not so impressive. Here it loses some marks for the quality of the matte plastic that it uses. However, the packaging is impeccable, look-wise. Well, you can ask me (in the comments section below) if you want to know more about it. Well, you will have an amazing experience if you have a refreshing Beverage along with it. 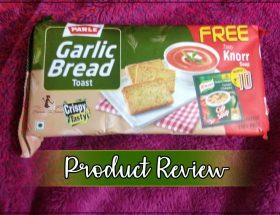 Read Paper Boat Aam Panna Product Review here. Is Ching’s Secret Instant Noodles Value for Money? Given that other Noodles competitors’ sell their products around the same price range, Ching’s Noodles is no different. With only Rs. 10 to spend on the Desi (read: Chinese) Authentic snack is, it really worth a grab! Spicy food lovers wouldn’t attain Nirvana from these Noodles, if they wish to have something intensely spicy. However, people who rarely have spicy food, are in for a delight. The price tag is not costly, too. Next ArticleMothers’ Day Special: Coffee Walnut Pudding Recipe – You Simply Cannot Miss Out on This Savoury Dessert!